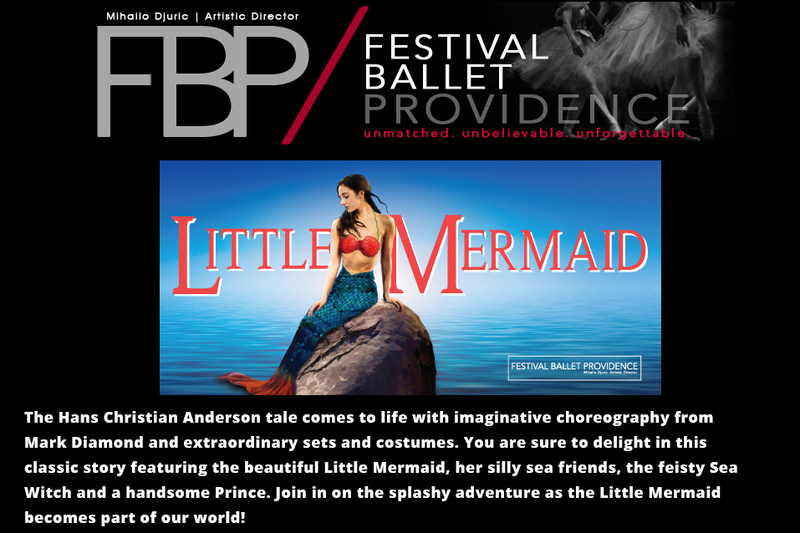 Festival Ballet Providence is thrilled announce this year’s season finale, Little Mermaid. Choreographed by Mark Diamond, this family show invites audiences to dive into the underwater world of the classic Hans Christian Anderson fairy tale. The production will incorporate exciting multi-media elements, complete with extraordinary sets and imaginative costumes — and a full cast of characters, including students from the Festival Ballet Providence School. 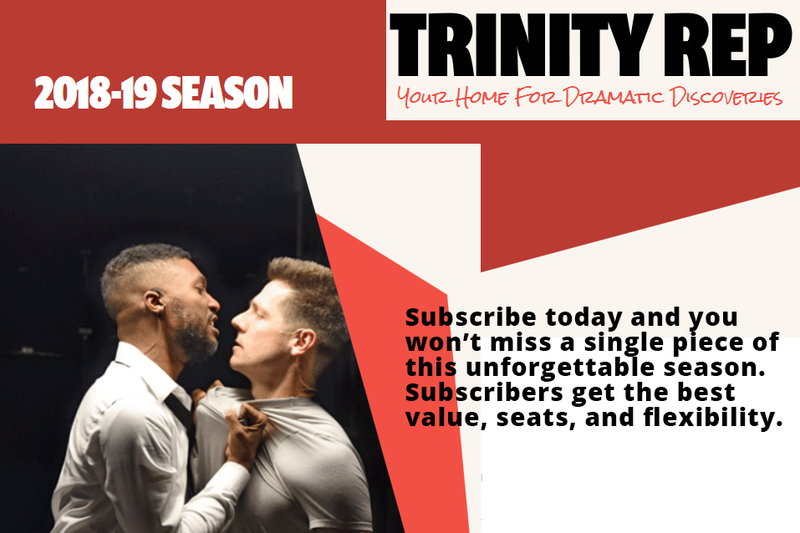 Tony Award-winning Trinity Repertory Company, under the artistic leadership of Arthur P. Solomon and Sally E. Lapides Artistic Director Curt Columbus, have announced the company’s 55th season. The 2018-19 Season, which includes a six-play subscription series plus a limited-run special engagement and the 41st annual production of A Christmas Carol, is one of the largest the company has ever produced and one of the most diverse. The season will run from October 4, 2018 through June 16, 2019. Casting announcements for the season will begin later this spring. Though the shows in the season vary both in style and when they were written, they all take stories and characters familiar to audiences and re-examine them in new and exciting ways. The storytelling in next season promises to be highly theatrical and larger than life. This season also represents another step in the company’s ongoing commitment to increasing opportunities for women and people of color to be a part of the storytelling process. The 2018-19 Season features the work of at least 11 women and people of color as playwrights and directors, a number that is expected to grow as more directors and designers are contracted for shows. The season begins with a new adaptation of Jane Austen’s Pride and Prejudice by Kate Hamill. This playful and comedic adaptation of Austen’s much-beloved novel runs October 4 – November 4, 2018. The play premiered in 2017 and has quickly become one of the most popular new plays for regional theaters around the country. The adaptation remains true to Austen’s story while infusing a new sense of hilarity and effervescence. Trinity Rep will then continue its four-decade-long tradition of producing Charles Dickens’ A Christmas Carol. Helmed by director Mark Valdez, this year’s production will begin performances November 8 and run through December 30, 2018. As is the company’s custom, the entire production will be completely new from casting to design and theatrical magic. This past season’s production became the highest selling show in Trinity Rep history. Tickets for this popular production are currently available only to subscribers and will become available to the general public on July 25. Following the start of the new year, the company will introduce audiences to Marcus Gardley’s black odyssey, in its East Coast premiere from January 3 – February 3, 2019. The play is an epic and glorious reimagining of Homer’s classic poem that combines Greek mythology and African-American history of the last fifty years. Gardley’s play will be immediately followed by a limited-run special event that provides audiences a unique opportunity to experience both of Homer’s famous works in stunningly contemporary and relatable productions. An Iliad by Lisa Peterson and Denis O’Hare, a tour de force one-person show, take audiences through familiar tales of gods and goddesses, and wars and battles. The production will run for one week only, February 6 through February 10, 2019, and is available only to subscribers until October 1. Audiences will then be treated to a masterful production of Macbeth, directed by Curt Columbus, who has long had this play on his short list of plays to direct and produce. Shakespeare’s legendary tragedy is a stunning examination of power, ambition, murder, and madness. This production will run January 31 through March 3, 2019. The company will then pivot to an exciting world premiere by Lauren Yee, which runs March 14 – April 14, 2019. Like the recent hit Into the Breeches!, Yee’s new play The Song of the Summer was commissioned by Trinity Rep and written for the company’s resident actors. Yee was the winner of the National Arts Club’s 2017 Kesselring Prize and was awarded the 2018-19 Hodder Fellow at Princeton University’s Lewis Center for the Arts. In addition, she was a finalist for the 2018 Edward M. Kennedy Prize for Drama and the 2018 Susan Smith Blackburn Prize. Her play introduces us to a pop icon who abandons his concert tour to return to his hometown where he will make discoveries that change his career and life. The season continues with the popular and award-winning musical Little Shop of Horrors, which runs April 11 through May 12, 2019. The musical was written by the famous duo of Howard Ashman (book and lyrics) and Alan Menken (music) and served as the basis for the 1986 film adaptation. In the sci-fi inspired cult favorite, a strange and unusual plant seems like just the thing to save a struggling Skid Row flower shop, but things get complicated and messy when the plant turns out to feed only on blood. The season will close with José Rivera’s Marisol, which runs May 16 – June 16, 2019 in the Dowling Theater. The Obie Award-winning play was first produced in 1992. Its themes remain relevant to contemporary audiences trying to make sense of a world they don’t recognize. The fantastical and surreal story centers on Marisol Perez’s attempt to find hope among the ruins when she wakes up one day to find her reality displaced by the effect of a war between God and the angels. Join Pilotworks for a fun-filled afternoon sampling local food makers’ delicious offerings, listening to tunes, playing bocce, having a drink & buying art and other handmade goods from regional artists & makers (just in time for Mother’s Day)! 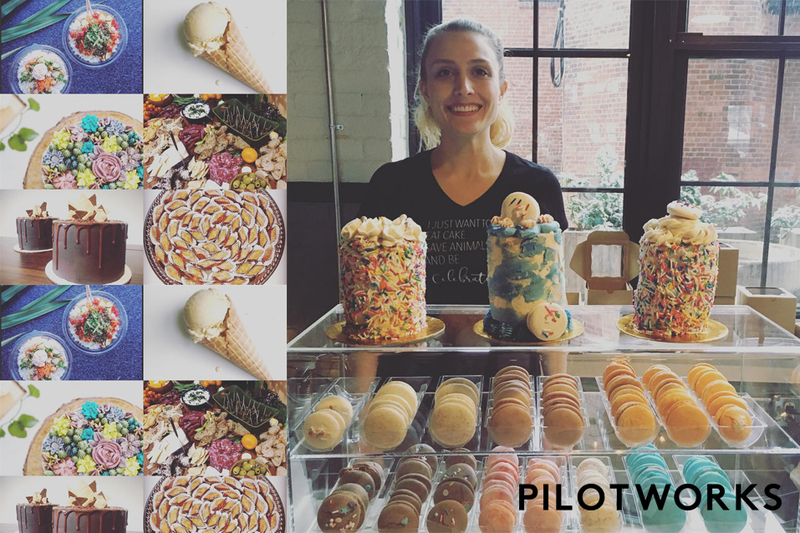 Pilotworks operates high fidelity culinary incubators across the United States. They provide specialized products and services to entrepreneurs in the food community to help them bring new companies and ideas to market. Through their holistic approach, selected companies benefit from our flexible and affordable infrastructure, outsourced services, personalized mentorship, educational events and workshops as well as their vibrant community of culinary professionals looking to innovate the industry. 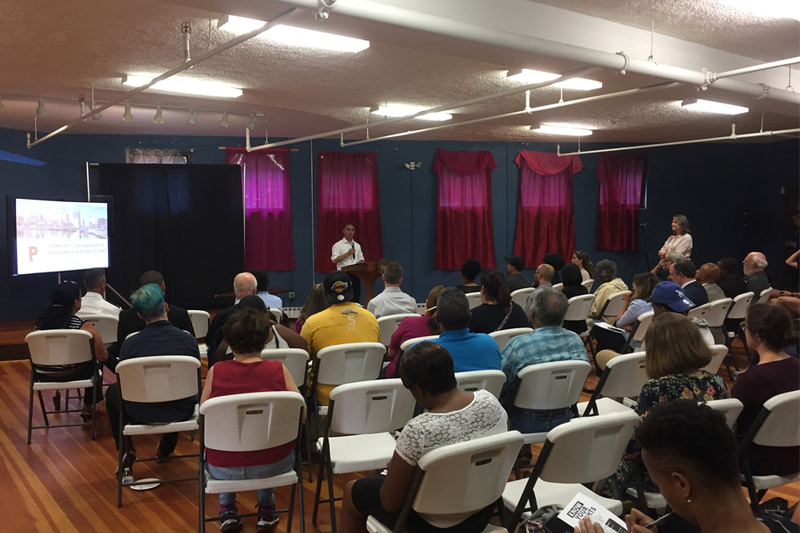 The City of Providence is seeking to foster partnerships with local organizations and businesses, such as restaurants, shops, museums and entertainment venues, to provide access to special services and benefits to IDPVD card participants. The card will be offered to residents as part of the municipal identification program that is set to launch in Spring 2018. 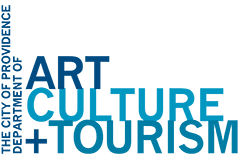 Similar programs across the nation have provided access to housing, healthcare, education, recreational and transit services, as well as special business incentives, among other offerings. The identification card will be available to all residents ages 14 and older, and can serve as proof of identity and residency; be used to engage with City departments; and provide discounts to local establishments and venues. The cards promote community pride and aim to improve relationships between residents and local government entities. ← PVDFest Returns June 7th – 10th, 2018!